Purple? ... Think beetroot and blueberry. Hah! Now, doesn't that look amazing? It was a Groupon offer we couldn't resist! 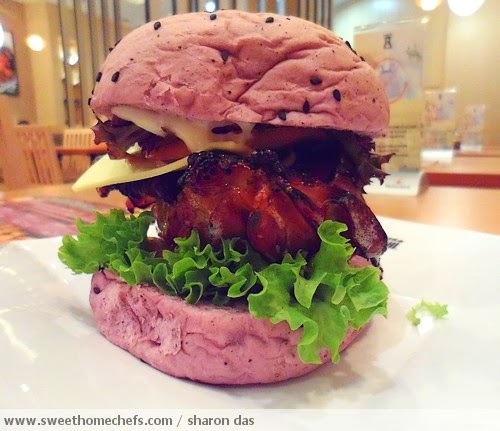 Being 'us', my girlfriend and I needed no prodding to purchase a coupon for a taste of Cafe Taka's purple burger. 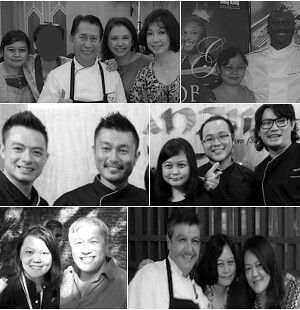 That's right, we're easily taken in by beautiful food and can you blame us? We have only ever eaten 'brown' buns. The purple burger gets halved! The burger was divine. 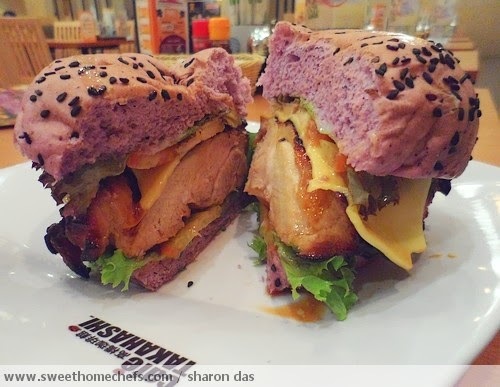 The purple bun was paired with grilled teriyaki chicken, cheese and greens. For me, at least, any meat doused in teriyaki sauce never fails the taste test. I'm easy to please. With all that said, this has given me an idea how I want my baked bread to look like once I get down to learning the ropes of bread-making. You could say it's my next goal in the culinary world. Purple?? I've never tried purple burger before. Lol! They look so fun! Eye-catching! Never had one in that shade! !